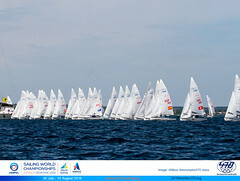 Registration is still open and the Mallorca Olympic Classes regatta has over 850 boats entered in the event. Nine out of the ten current Olympic World champions will compete in Mallorca. 113 entries so far (44 Women, 69 Men) for 470 class. The top World sailors have confirmed their participation in the Trofeo SAR Princesa Sofía Iberostar 50th anniversary. The Olympic classes Mallorca regatta, to be held from 29th March to 6th April in the bay of Palma, will gather together over 850 boats and 1200 sailors from 68 nations in the first major event of the European circuit. The ORC and one design event will have a participation of around 50 to 70 boats. With the official entry deadline in a few days, it is expected to be a landmark edition. 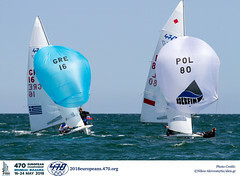 In 470 men, a close battle is expected to be seen with French team Kevin Peponnet and Mion Peremie as rivals to be beaten as current class World campions. 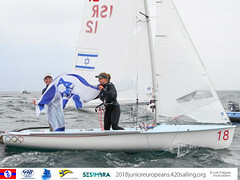 Teams such as Mat Belcher and Will Ryan from Australia – the current Sofia Iberostar absolute winners – or Spanish sailors Jordi Xammar and Nicolás Rodríguez, bronze medallists at the Aarhus 2018 World Sailing Championships, are also firm candidates to claim victory in the class.